Before the Shadowhunters special, “Beyond the Shadows: The Making of Shadowhunters” airs this December, fans will get a new look at the making of the ABC Family/Freeform series based on Cassandra Clare’s Mortal Instruments series. 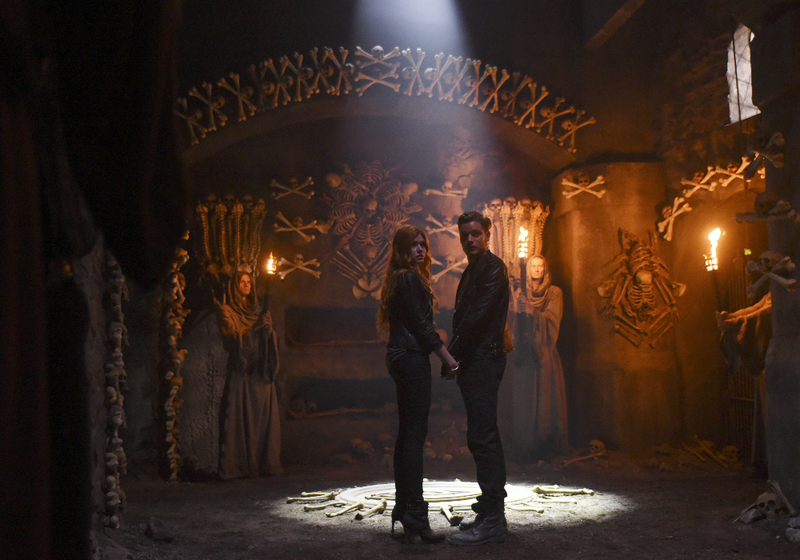 As a part of their 13 Nights of Halloween, ABC Family will be debuting a new behind-the-scenes look at Shadowhunters, where fans will learn more about how the show was made, as well as some new footage from the series. The Shadowhunters social media also teased that: “Make sure you tune in as there will be an extra surprise for those that do!” Ooh…we’re definitely intrigued. Will the special be put on the internet for those who don’t live in America. How would I watch this if I don’t live in the US???? It won’t play and says “this browser doesn’t support video play back.” Firefox plays everything unless they’re blocking Adobe Flash Player again. All the other videos played.